Our processing system, the Wide Azimuth Depth Imaging System (WADIS) is designed to reduce turnaround times for large 3-D seismic projects (on the order of 2500 square kilometers) from 6–8 months to 1–2 months. 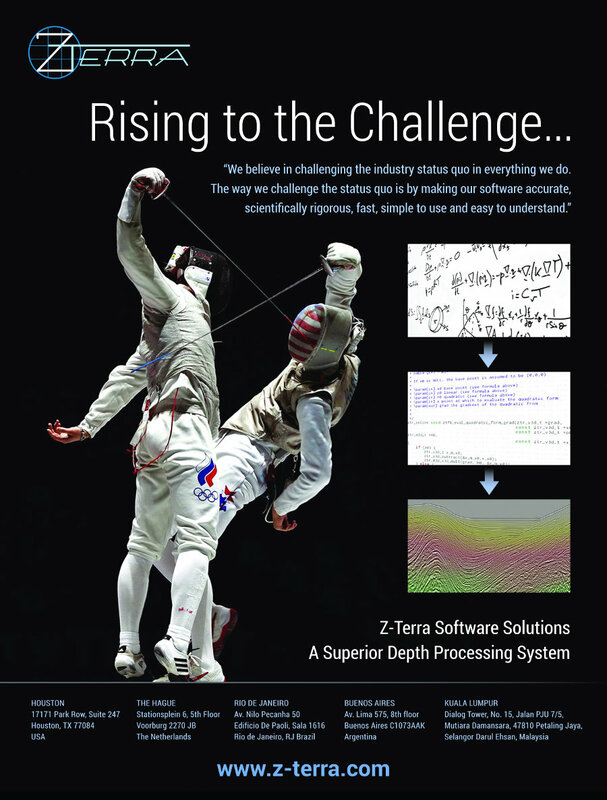 The system is based on a combination of Smart Migrations™ (ultra-fast imaging algorithms that allow for very fast imaging iterations — on the order of minutes for imaging thousands of square kilometers) and very fast migration velocity analysis tools (including wide-azimuth tomography) within an optimally designed workflow. One such imaging method is Fast Beam Migration, a super-efficient algorithm that is two orders of magnitude faster than the industry standard Kirchhoff depth migration. The faster imaging processes allow for more velocity model building iterations (30–40 iterations in lieu of the current 7–10.) A greater number of velocity updates enable the processing team to enhance the seismic resolution and imaging of complex geologic structures and allow for deeper data penetration and steeper dip and subsalt structure imaging. More accurate velocity models in combination with Fast Beam Migration and wave-equation imaging provide much greater resolution and accuracy than that which can currently be obtained through standard imaging technology. This advanced imaging methodology improves success rates and cost effectiveness for new deep-field discoveries, greatly reduces turnaround times for large surveys, and also has applications in increasing recovery efficiency for the development of existing fields. 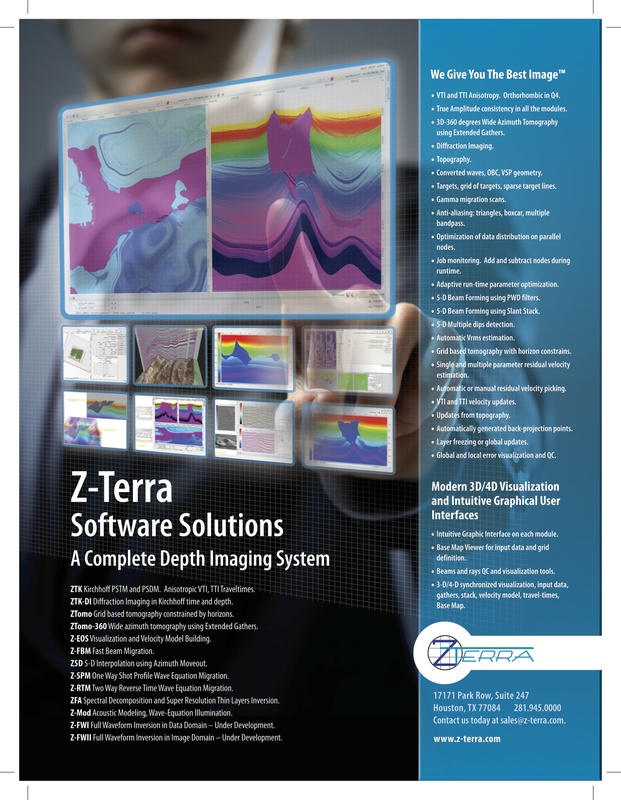 ZTomo-360 is a novel migration velocity analysis tool that performs wide azimuth tomography using extended gathers, a method pioneered by Paul Sava, professor at Colorado School of Mines. It has the potential to greatly enhance the resolution of the tomography generated velocity models. All of the imaging and tomographic updates are designed to handle VTI and TTI anisotropy.